Pitch your tent in a national park or park your coach or trailer in a fully-serviced, pull-thru site. Whatever you choose, you’ll be surrounded by some of the world’s most spectacular scenery. 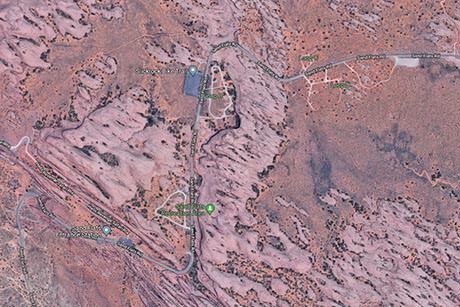 Campgrounds in Moab can be divided into the following three categories: Privately Owned, Bureau of Land Management and National Forest/Park and State Park. There is only only one place to camp in Arches National Park, The Devils Garden Campground, and it is the bee’s knees. The setting is wondrous and the campsites are fairly private and well spaced, with many nestled around large rock formations. Getting one of these coveted campsites can be challenging, so plan and reserve ahead. 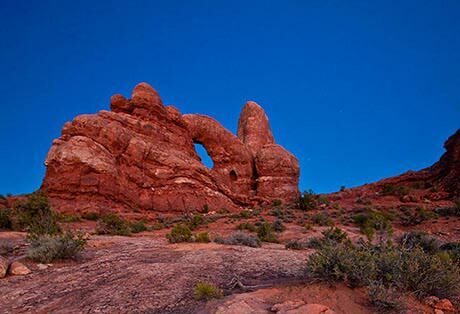 Don’t worry if you happen to miss out on Devil’s Garden, there are some pretty amazing campsites outside of Arches National Park too. Experience the beauty of the desert in the most unique way possible: camping. 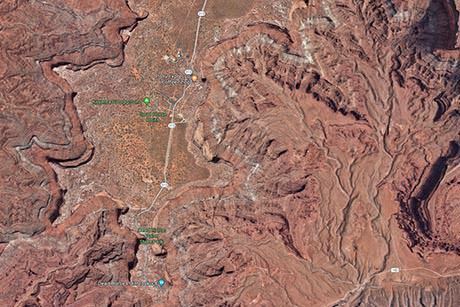 Being one of the few places left on the colorado plateau to be declared a “light-pollution free zone”, Canyonlands is perfect for those wanting to observe the brilliant display of stars that make themselves known each and every night. With these first come - first served spots as limited as they are, it’s recommended to set camp up early! 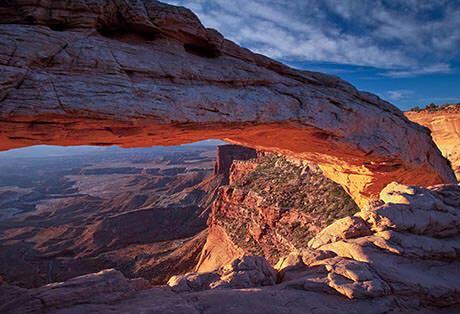 Located approximately 40 minutes from Moab, Dead Horse Point State Park lies just outside of Canyonlands NP. This beautiful park is home to some of the most exquisite starry night skies in the area. Enjoy the experience of being outside of a busy city while picturesque landscapes surround you. With 21 campsites available - and 17 of those sites being reservable in advance - this is a camping opportunity you won’t want to miss! 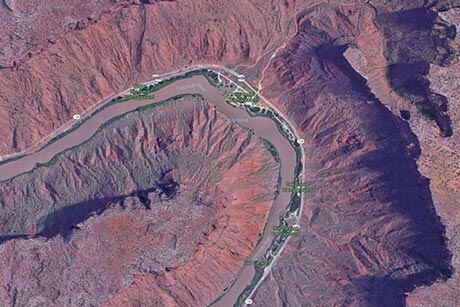 There are endless possibilities for camping in the Moab area, but campsites along the Colorado River are coveted; and with good reason! With incredible panoramic view points at every location, campers wake up mesmerized at the sights encompassing them. The quiet location and lack of city lights create a tranquil environment for stargazing like you’ve never seen before. 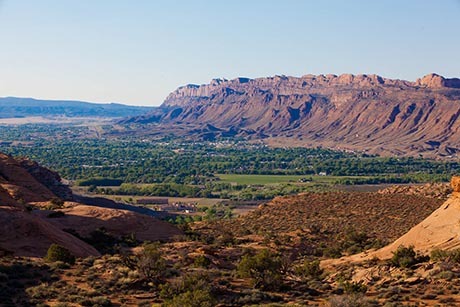 At the Sand Flats Recreation Area you can stay alongside biking, hiking and 4x4 trails, enjoy incredible views of the La Sal Mountains, awe inspiring sunsets and an infinite amount of stars. There are 9 campgrounds and about 120 sites. Sites are equipped with picnic tables and fire rings; vault toilets are available. Sites cannot be reserved and are usually full Thursday through Saturday. Arrive early to reserve upon arrival. 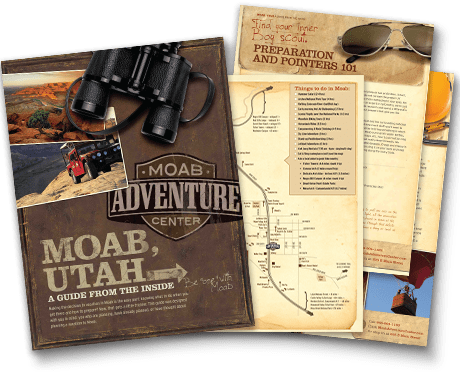 You can experience the natural desert of Moab while still enjoying the comfort of soft, cozy bed. 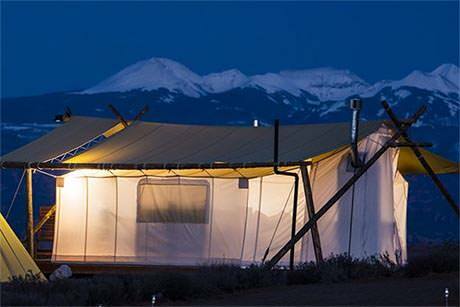 “Glamping” is relatively new to the Moab area; but visitors love the idea of being able to enjoy a star-filled sky from the comfort of a furnished canvas abode.